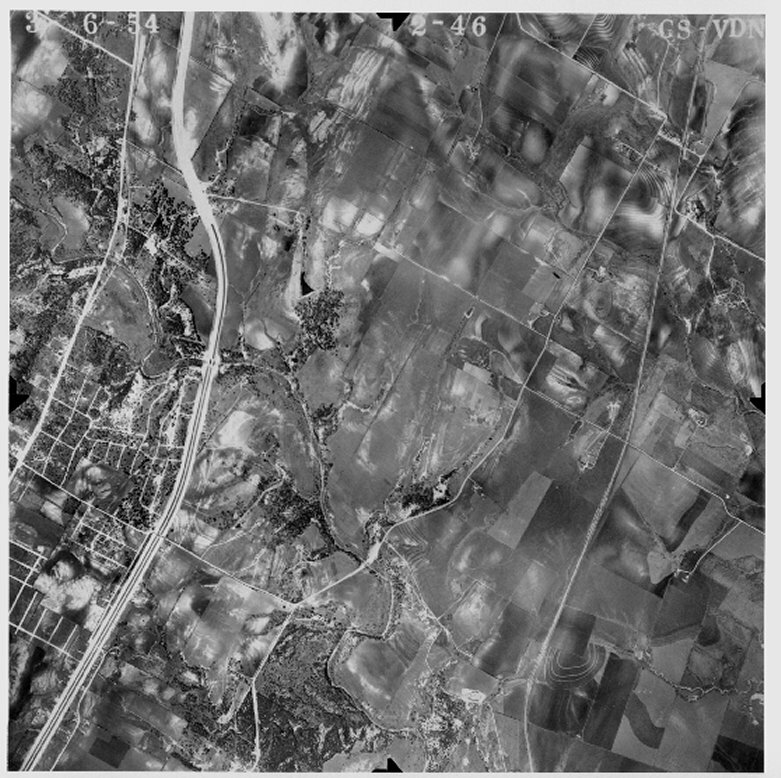 This is an aerial photo of the Copperfield neighborhood and nearby area taken in 1954. I35 is under construction. Yager is not yet built. The east-west road is a farm road that is no longer visible except where it runs alongside a dairy farm on Dessau Road today. Go to Historical Diagram of Copperfield-Area Sites to fix the location of this old farm road.